If this is your first visit to this site having just seen The Montel Williams investigative report on teen rehabs, you are probably wondering whether Straight, Inc. is still in operation, how widespread was the abuse, who is responsible for the abuse, and what you can do. From 1976 to 1993 Straight, Inc., a Pinellas County, Florida-based corporation, was the largest juvenile drug rehabilitation chain in the world. Probably as many as 50,000 white teenagers entered the program. 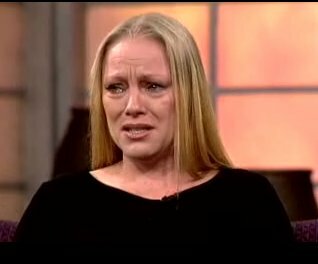 Samantha "Sammie" Monroe (the guest Montel interviewed who had been in Straight) was not the only kid severely abused at Straight. Read Leigh Bright's declaration of torture; the torture of Marcie Sizemore; the torture of Bobby; the torture of a boy named Donald. Straight was founded and operated by Melvin and Betty Sembler. As our country adopts the Turbin Torture Amendment you should be advised that George W. Bush appointed Melvin Sembler as the current US Ambassador to Italy! Ambassador Sembler brags on his state department web page that he and Betty successfully treated 12,000 Straight graduates. One reason for Straight's popularity was its endorsement by Ronald and Nancy Reagan, and the president's father, George H. W. Bush. How long will George Bush take the heat and let him stay? Will the Florida Holocaust Museum continue to let him hide behind its skirts? How many other heads will roll since Sembler, in his share the blame mentality, has talked the president's brother Florida Governor Jeb Bush and his wife Columba into joining Straight Foundation's (now known as DFAF) Advisory Board along with the likes of Florida's Lieutenant Governor Toni Jennings, Pinellas County Commissioner Susan Latvala, the butcher, the baker (St. Petersburg Mayor Richard Baker, that is) and the candlestick maker? How much longer does Mr. Sembler intend to drag PumpGate through the news by filing a seemingly endless series of court motions to postpone? It has taken the efforts of hundreds of loyal readers like you, and the Internet, to keep the story alive until a major media source heard you. Thanks to all for a job well done! You can reach Ambassador Sembler at the US Embassy-Italy, main switchboard (+39) 06.46741 or Public Information Office, or at his place of business The Sembler Company, (727) 384-6000. You can reach Betty Sembler at Operation PAR, 1-888-PAR-NEXT. If you are an attorney or aid for Ambassador Sembler tell him that Ken Kay informed The Montel Show that WWASPS denies all charges and ask the ambassador if he will make any public statement about the show. As for sending your kids overseas Montel said this, "any parent that signs his kids over to another and lets that other take his kids out of country has committed a crime." Amen and thank you, Montel!!! If you are Sammie Monroe (or her sisters) or the former WWASPS clients and parents who appeared--thank you for a job well done.!!! Author Maia Szalavitz tied it all together--no one could have done a better job in the few moments she had. We eagerly anticipate her forthcoming book. To all others: there's a discussion forum on Straight here. Also there are three protests scheduled for this quarter. Check back to the main page for details. Come join the protests!